Cordless anti-static wrist strap. 1 x Anti Static Wrist Strap. Adjustable wrist strap,soft elastic band for comfort. Simply wrap strap around wrist. CANON POWERSHOT SX400 IS, SX410, SX420 IS. ELASTIC NEOPRENE NECK / SHOULDER STRAP. "For Canon". CANON REBEL EOS T7i, 77D, SL2, XL2, XL1,SX20, SX1 IS, G10 and more. Internal Material : Soft Neoprene Padding With Anti-slip Weave, Black. Lot of 10 -"- Leather -"- Adjustable -"- Camera Straps -"- Brand New """Look"""
There is a mixture of colors and all are first quality. Gradiation Bride style material. Universal Gear Gaiter. All my materials are locally sourced and personally selected. Available in REGULAR 115cm, CUSTOM and BUCKLE ADJUSTABLE lengths. Available as a BUCKLE ADJUSTABLE shoulder strap and as a sliding WRIST strap. •Fujifilm X100 X100S X-E1 X10 X-pro1. •Color: Silver. Never used! •Canon G7 G9 G10 G11 G12 G15 G1X. Ultra-strong machined/anodized aluminum construction. Note that Anchor Mount is not tripod or Capture compatible. Note: Anchor Mount is not compatible with tripods or Capture system. If you frequently use a tripod or Capture, check out the Standard Plate. Canon 7D Mark II 7D2. Well-designed, the battery is accessible with the grip attached. Product View. Or if the product was sent to you in error by our staff. Just give us the opportunity to resolve a problem. Compatible with GoPro Hero 5 4 3 3 2 1. 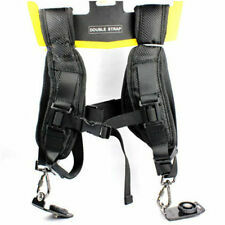 Device Type: Chest Body Adjustable Belt Strap For Gopro HD Hero 5 4 3 3 2 1. One (1) Chest Body Adjustable Belt Strap For Gopro HD Hero 5 4 3 3 2 1. 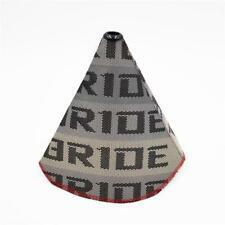 Perfect for skiing, mountain biking, motocross, paddle sports, or any activity where you want to get a view of the action. Respond almost instantaneously to unfolding photo opportunities with the black SpiderPro Hand Strap from Spider Camera Holster. The strap is designed to work with your DSLR camera and lens with or without a vertical grip. Because the bottom of the strap mounts between your camera and any tripod plate, it won't interfere with the tripod mounting – you can leave it attached to your camera. The top of the SpiderPro strap is attached by threading it to your camera's upper strap lug. Both the bottom and top of strap are easily adjusted to the size of your hand. Choose from Gold or Silver (no more Platinum). 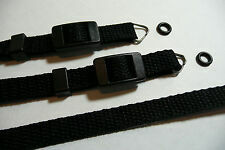 Universal fit (fits end of strap of upto 10mm), as shown in images. Fujifilm X70. Well-designed, the battery is accessible with the grip attached. flash diffusers. Product View. Or if the product was sent to you in error by our staff. Just give us the opportunity to resolve a problem. Easily adjust length with dual aluminum and Hypalon quick-adjusters, designed to operated with just 1 finger. Connects and disconnects quickly using our unique Anchor Link system, and stows easily in your pocket or bag. 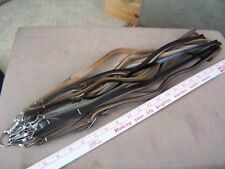 Length: 95cm; Width: 12mm; Thickness: 2.5mm. So I decided to make them myself. They are made of genuine top grade burgundy/brownish latigo leather for strength and pliability. They are made to wear cross body for security and comfort, but can also be worn around the neck. Comfortable to carry around. The strap adopts ergonomic design and the weight is distributed evenly and reduced by neoprene pad. Model: Quick Strap. One tripod quick-release plate with 1/4” thread for connecting to tripod or other device with 1/4” screw. "GEARS FOR FUTURISTIC TEENAGERS" embossed around the strap. Pentax Pro Camera Strap. Universal Fit for DSLRs, SLRs and Compact Cameras. 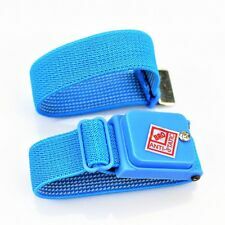 Each strap is supplied with 3 different types of connectors. Simply throw away the ones you don't need. The quality really is excellent. This is the 100cm version. Silver/Grey/Black (10mm red braided marine rope with black leather ends). Black stitching. Olympus OM-DE-M5. Well-designed, the battery is accessible with the grip attached. Product View. Or if the product was sent to you in error by our staff. Just give us the opportunity to resolve a problem. The Skout sling style harness comes complete with a comfortable and durable, one-size-fits-all adjustable camera harness made of Kodra synthetic canvas with DWR coding fitted with patented twist & lock camera mount. Hasselblad fit full length neck strap for 500cm, 501cm, 503cw, 503cx etc. Leather ends, stamped Hasselblad. A really high quality item (although not official Hasselblad - it is equal to original). Made from premium durable materials and hardware inspired by high end climbing gear. Quick-connecting: attaches quickly with our Anchor Link™ connection system. Takata patch on the front Japanese Takata writing on the back of the strap. Wrist Strap Band Mount only, the waterproof case is not included. You have full use of both hands when not recording and this makes the wrist mount perfect for surfing,snokeling,climbing and skiing. 1 Year Movo Warranty with Fast & Friendly U.S.A. Support. Movo Warranty Policy. If the product has been discontinued, the warranty provider reserves the right to replace it with a model of equivalent quality and function.